This Spaghetti Squash Oregano Bake is a perfect Meatless Monday or healthy eating option, because it has only healthy, nutritious calories - and very few at that. Spaghetti squash is one of those wonderful "Eat as much as you want, and feel great about it" foods! This recipe is fantastically simple and makes a perfect autumn meal. We like to serve it with a green salad to round out the nutritional value. The squash itself looks intimidating at first glance, but couldn't be easier to prepare. Start by cutting it in half lengthwise, removing the seeds, and covering each side with plastic wrap. Place the squash onto a plate (to keep your microwave clean) and microwave on high for 8-10 minutes, until it is tender. Careful...it will be very hot when you remove the plastic wrap! Next, use a fork to scrape the squash. This is surprisingly simple, and the squash naturally shreds into "spaghetti" shaped "noodles". Mix the "noodles" with the oregano, salt and pepper, and the mixture into the bottom of a casserole dish. Then pour the pasta sauce evenly over the mixture, and top with dollops of ricotta. Place the dish into the preheated oven, and bake for 1 hour - until the ricotta is beautifully golden. Sprinkle with Parmesan and enjoy! Its worth the plunge :) The flavor is milder than most of the other squashes and goes great with tomato sauce! I am a BIG fan of spaghetti squash!! This sounds amazing. This has to be one of my favorite new dishes.. my wife makes it once in a while and i cannot get enough of it! Looks delicious! Squash and spaghetti combination sounds tasty.Happy Friday! This looks delish! I love spaghetti squash but have never tried baking before. Yum! I will need to try this. This is a unique flavor for spaghetti. It looks like it would be a savory delight having this. We have never had spaghetti squash...looks like something we are going to have to try. This looks great, but I must confess- I'd have to find a way to add meat! My husband and I are both big meat-eaters. You could serve it a as a side to your meat entree, or I bet shredded chicken would be great in it! This looks so yummy! I have never used squash in spaghetti before, but it would be a great way to have my little ones try a new food! Oh absolutely! Our little one devours it like there is no tomorrow! Oh my husband loves squash and would eat this right up! I need to try this already. You make it look so easy! It IS so easy! :) I'd love to hear how you like it! I have also had good success mixing spaghetti squash with whole wheat spaghetti. I cant trick them with just the squash, but I like the compromise of both together- thank you for the added inspiration! Oh, I love that idea! Thanks for sharing! Looks great! I've never been on the spaghetti squash band wagon... may have to try it! This looks delicious! I'll have to try it as an alternative to our usual spaghetti bolognase. I've always wondered what I could do with squash... Thanks for the idea! Never tried spaghetti squash before. Looks like a great recipe! I've always wanted to try that. It sure looks good! 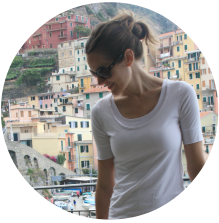 I never knew how to make spaghetti squash before this. It sounds fairly easy, I think I can manage it! This looks delicious! I think I will have to try it sometime. Eating it is half the battle...right? :) Better late than never! This looks so delicious! I have been SO uncreative in the kitchen lately - thanks for the new idea! Must try this! Sounds like an interesting combination. Love it. Healthy and easy to make. Win/win. A friend of mine just posted a recipe for spaghetti squash mac and cheese, I think this is a definite sign to start cooking with spaghetti squash. This looks really yummy! 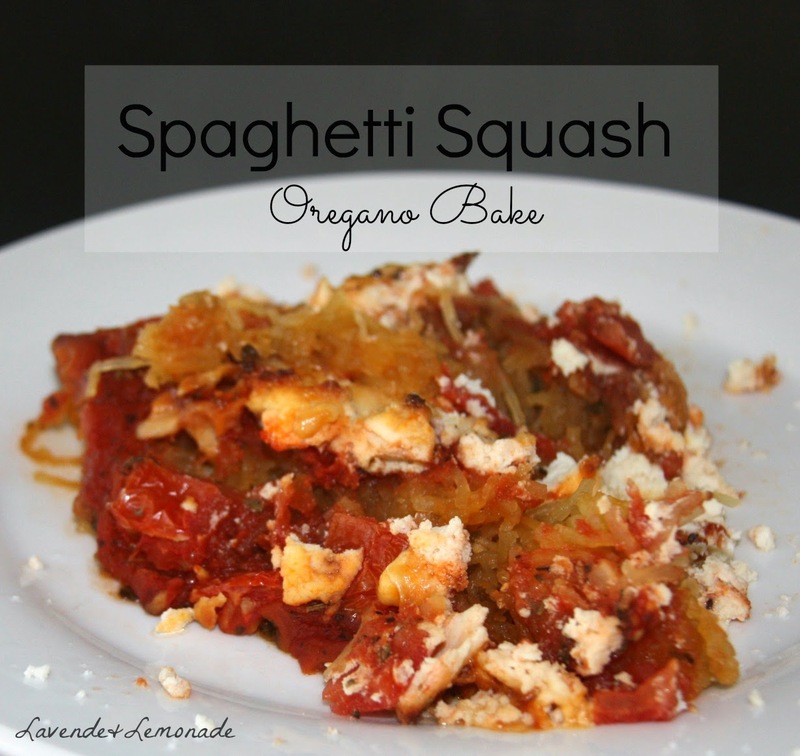 I think this would be a great way for me to try spaghetti squash for the first time! Yummy. Love how short the ingredients list is! Thanks for sharing. This is oh so yummy. I love spaghetti squash. I just wish I could convince my family that it is delicious. Yum! This looks incredibly delicious! I'll definitely try this. I love spaghetti squash. so good and such a great substitute! I've been wanting to try spaghetti squash for a while now. This looks just delicious! It took me a long time before I love spaghetti squash. Now, it's my go to spaghetti and my family just love it. I'm going to try your recipe when my foot heal from surgery. Thanks for letting everyone know about this wonderful alternative to gluten products. I hope your foot is better soon! Take care! This remins me of a meal my mother made for us when I was a child.This post made me smile. I love love love spaghetti squash!!! I'll definitely keep this one in mind to try! That's my kind of recipe. It looks delicious, and I would make it for my family. I love recipes that have squash in them. This is the perfect time of year for cooking with squash. I will be trying this recipe as soon as i can. This looks so good and I will have to try this for sure. I love squash. Thanks for sharing. I love spaghetti squash and so happy it's finally in season! ^_^ Yummy recipe! I love spaghetti squash! I still can't seem to get my husband on board, but I will have to try this one out. I had this for the first time a few months ago. DELICIOUS! I have never heard of spaghetti squash until this pregnancy ap I have where they told me my baby was the size of one. haha! This looks like a yummy recipe! Haha, those apps are so funny. The one I had gave such random veggies...Wati...my baby is the size of a carrot?? Good luck with your pregnancy! I've never heard of this either, but it sounds like a great meal for went lent comes around, and being Christian we don't eat meat on Fridays. I need to put this in with my recipes in Pinterest. Woo Hoo Thanks for sharing. Love the sound of this food especially getting to this time of year. I do like spaghetti squash as alternative to pasta when I can find it. This looks so good. Makes me wish I wasn't on Nutrisystem right now. I'm not familiar with Nutrisystem and what's allowed, but this is a veggie-filled meal that is super healthy and hardly has any calories to it! I've made spaghetti squash before. It was an interesting texture. 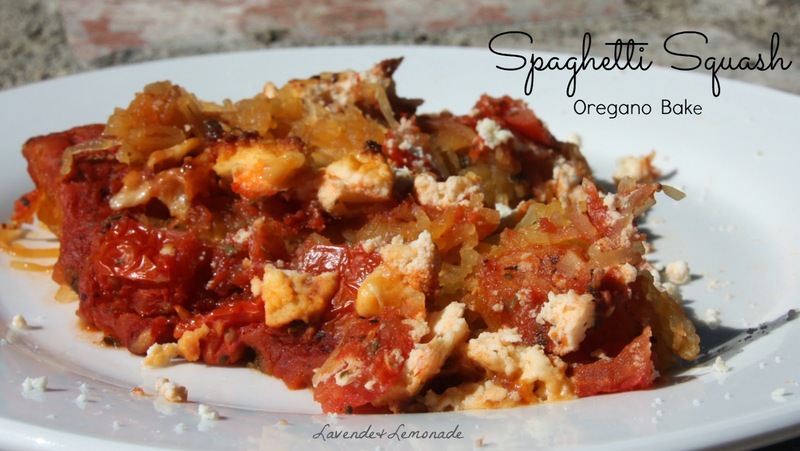 I have always wanted to try a spaghetti squash recipe, this looks delicious! I love spaghetti squash. I usually make it with sauce and then melt mozzarella on top like a parm dish. This looks great. This looks like a really tasty (healthy) comfort food meal! Looks really good! p.s. I just had to google what a spaghetti squash was! I guess it's similar to a marrow here...? love spaghetti squash!! This looks tasty! I've heard so much about spaghetti squash! I'm going to have to cave and try it! What a delicious idea! I want to try this out! Squash in lasagna is yummy! My grandma use to make it, but she also had beef. She even hand made the lasagna noodles for it. This sounds so simple and easy! I've tried squash as noodles but not lasagna. A must-try! I don't know if there's spaghetti squash available here.. but i'll look around..
Yum! I love spaghetti squash! Would really love to have a taste of this one! :) I wonder where I can buy spaghetti squash?! My cousin tried making a dish from spaghetti squash and it was yummy. I will let her try this one too.